From Newton Patch, here’s Congressman Joe Kennedy at the Third Annual Saint Paddy’s Day Political Roast on Friday at Dunn-Gaherins. Thanks to Jenna Fisher for posting. More of Jenna’s photos here. Also: Newton TAB photos here. We interrupt this dreadful week of national news with a few minutes with Joe Kennedy on Colbert. 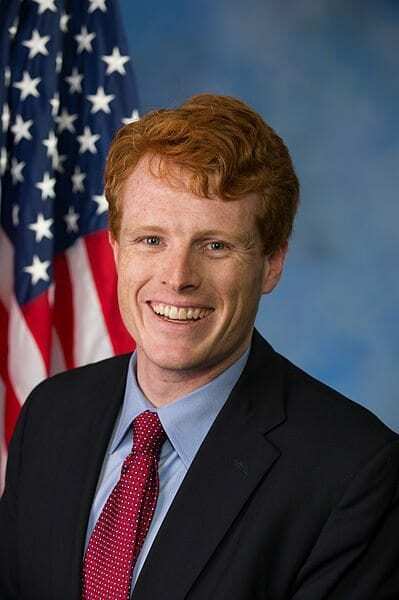 Rep Joe Kennedy III has been selected to deliver the official Democratic response to President Trump’s State of the Union address next week, the Globe reports. Thanks to NewTV for sharing with us this video from Congressman Joseph Kennedy III’s terrific Town Hall at Newton North on Sunday April 2. 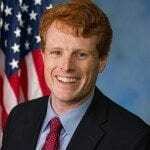 Town Hall with Congressman Joe Kennedy III from NewTV on Vimeo. Should Joe Kennedy skip Donald Trump’s inauguration? A growing number of U.S. Congressmen have declared that they will not attend Donald Trump’s inauguration this Friday. So far, Rep. Katherine Clark is the only member of the Massachusetts delegation who says she will skip the ceremony in protest. Should our congressman, Joe Kennedy III join the list and SKIP the inauguration? Vote in our poll and explain why in the comments. An article in today’s Globe observes that many “Massachusetts Democrats who are widely considered the party’s rising stars” have been openly critical of Donald Trump.